Two gin-stitutions of the craft spirits world have come together for a unique collaboration. 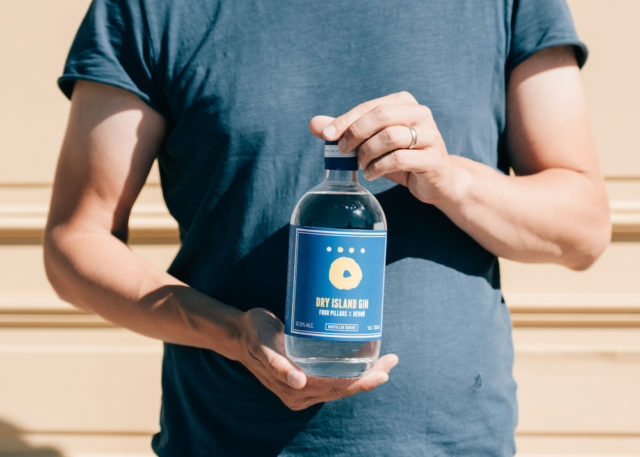 Four Pillars and Hernö Gin have just released Dry Island Gin, a spirit crafted by Hernö founder and distiller, Jon Hilgren, and Four Pillars co-founder and distiller, Cam Mackenzie. Although developed on opposite sides of the globe, the creators of Four Pillars and Hernö Gin saw many similarities between the gin styles and the story behind the liquids. For starters, the gins were first released almost exactly a year a part and both are clean, soft and vibrant styles that exhibit great palate weight. There is also a clear connection between the brands’ philosophies, commitment and ambitions, evident in the amount of awards both Four Pillars and Hernö Gin have received internationally. What began as a deep mutual respect for each other’s respective spirits has now developed into a Swedish-meets-Australian collaboration to create Four Pillars x Hernö Dry Island Gin. Crafted during Jon’s visit to the Four Pillars Gin distillery in Healesville in 2017, the spirit has been distilled with juniper, coriander, river mint, roasted wattle seed, strawberry gum, lemon myrtle, meadowsweet and fresh lemons. It is a bright and lifted gin, with notes of citrus and a floral cut-grass character. This classic London Dry style spirit has a weighty palate with fresh pine-forest flavours. The first release of this gin style, Hernö will also release their own version of the gin in their colours in 2019.